Our South Carolina genealogists are available to research on location to find and analyze the best records available to further your family history research. They can search the archives and libraries in South Carolina, as well as help you with other special requests. Our researchers are available to visit local archives and libraries to access unique record collections to help with your research. Below is a list of a few of the archives our South Carolina genealogists have access to. South Carolina’s Department of Archives and History is known for having the best manuscript collection in the state. The archive includes original documents, manuscripts, photographs, and audio recordings. The records here date from a 1671 deed for a town lot on Albermarle Point to modern day government publications. Other records indexed here are Confederate pension applications from 1919 to 1926, and wills from 1782 to 1855. There are also criminal journals from 1769 to 1776, and maps of state land grants from 1784 to 1868. One of the largest strengths of the South Carolina Historical Society’s archives is its collection of colonial immigrant records. The collection totals at 60,000 historical records, 50,000 books, and 30,000 photographs. These include diaries and papers, plantation, business, and church records, maps, as well as regional and local histories. The society’s vertical files cover a variety of subjects including information on African American history. Records on the Civil War are also collected here. The South Carolina State Library is home to the largest book collection in the state. It also functions as a congressionally designated depository for U.S. Government documents. Their South Carolina Book Collection focuses on gathering texts that cover the history of the state. These include political speeches, biographies, and reference works. 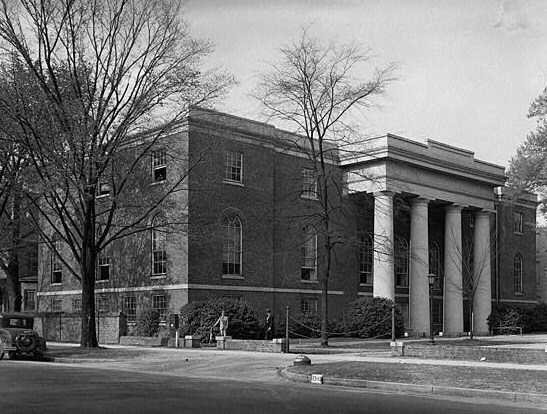 The Thomas Cooper Library at the University of South Carolina contains several special collections. One of the most impressive ones is its Moving Image Research Collection. This collection consists of an estimated 6,000 hours worth of video material. The library video material includes local television news, commercials and home movies. The South Caroliniana Library (see below) is located within the Thomas Cooper Library. Unpublished files documenting families of South Carolina. Personal records, letters and diaries. Manuscripts, account books, church records, and surname indexes are also included in their collections. The manuscript division of the South Caroliniana Library includes account books, posters, church records, and genealogy information. The Charleston County Public Library divides its resources into two different departments: the South Carolina Room and the Charleston Archive. The South Carolina Room houses local history and genealogy materials that focus on Charleston and the Lowcountry region. Their Charleston Archive also focuses on the same region. It contains historic manuscripts, books and visual materials representing Charleston and the surrounding Lowcountry. Among these records are weekly records of deaths and interments within the city of Charleston dating from 1819 to 1926. Records of correspondence from individuals of international significance including George Washington, John Marshall, and Robert E. Lee. Books by the following authors such as Henry Laurens, Charles Cotesworth Pinckney, and John C. Calhoun. Books, pamphlets, and manuscripts regarding southern agriculture in the 19th century. Extensive collection of southern colonial newspapers. Many original Church of England records are kept at the Episcopal Diocese of South Carolina’s archives. These records date as far back as South Carolina’s colonial period in the early 1700s. Until 1785 the government requested that local South Carolina Episcopal churches participated in record keeping. The Camden Archives and Museum collection contains records relating to the history of Camden District and modern-day Kershaw County. They also hold records that pertain to the history of the entire state of South Carolina. The archives consist of collections of books, microfilm, maps, files, periodicals and general reference materials. These materials contain adoption records (1930s-1980s), church records from different denominations (1810 -1993), and death certificates (1915-1949). They also have several different newspapers microfilmed and archived with the earliest dated at 1824. 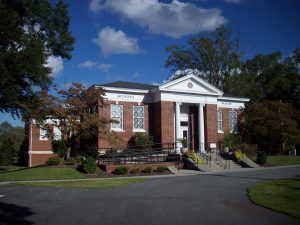 The South Carolina Genealogical Society and the Old Edgefield District Genealogical Society’s archives are both held at the Tompkins Memorial Library. The latter is the largest genealogical society in the state with 600 members in 40 states total. The archives here at the library consist of archived newspapers and old Edgefield County records such as probate wills and deeds, and censuses. The library also has a large collection of family histories. South Carolina genealogists have access to 2,000 surname files with bible records, newspaper clippings, letters, lineage charts, and diary excerpts. The Sumter County Genealogical Center is known as a premier genealogical collection. It is home to the Janie Revill Collection, which contains several records from early colonial days. Some specific records of the collection include rosters of soldiers who served in the Revolutionary War and Protestant immigrants who traveled to America. Our South Carolina genealogists specialize in researching several types of documentation and are not limited to the list above. For more information or specific inquiries about our South Carolina genealogists, please feel free to contact us.